This photobooth inspiration shoot is sure to brighten any day. Bright fiesta paper decor, oversized props, and confetti complete the look for our Fiesta booth inspiration. Ole! Every event is unique, but I don't think that you'll ever find one as unique as a Ladies Who Lunch by Catherine Landry of Call Betty Marketing. Usually when it comes to these events, you never know what you are getting yourself into but everyone knows that you will be blown away and inspired beyond belief. Hey Ottawa! No more selfies as professional head shots, okay? We are launching our newest package today in the hopes of never seeing a selfie on Linkedin again. So many people just need a simple head shot, whether it's for your company's webpage, your Linkedin profile picture or your security pass we got you covered. Our newest package includes 35 head shots, a booth butler to help everyone along, a white backdrop and digital copies of all your pictures. The best part is, we'll even come to you! No wait... the best part ACTUALLY is that it's only $875. Got more than 35 people that you need head shots of? No worries you can add addition people for just $25.00 per person. 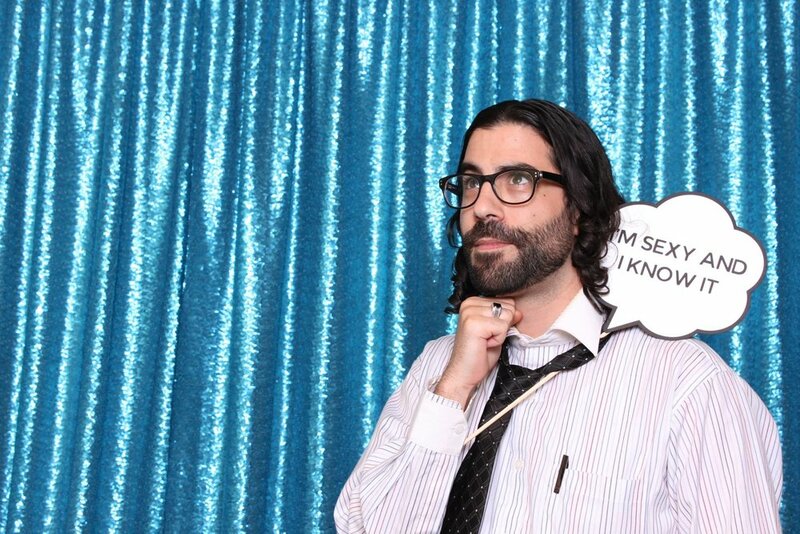 Here is my Linkedin profile picture taken with the booth. Here are some examples of some corporate head shots we have done in the past. On that note.... head shots don't have to be all business! Check out Sara, from Barebones Nutrition in Motion, head shots. She wanted to have some fun with it to reflect her business. We can't think of a better way to celebrate Valentines day than at a Parisian themed ball thrown to raise money for a great cause. When we were asked to be at The Snowflake Ball 2015 we got super excited and then we got the news that the theme was Parisian Love. YES PLEASE!! We went straight to the drawing board with the fabulous Amber Warren to dream up this amazing styled booth. Amber created these hand painted watercolor props along with these super adorable Parisian themed props. Add a Rose Gold Lux backdrop and gold mint Julep cups from Amy and Jen Rentals to hold the props and we have ourselves the prettiest photobooth for Valentines Day. It also doesn't hurt when your guests are this fancy and awesome. Seriously though. These guests were out of this world! The line up for the booth was constant all night and we couldn't get enough of all the fabulous people. I'm pretty sure this first couple might be Clark Kent (Superman) and Lois Lane. OH! I almost forgot to mention the template! We wanted to keep the template in line with the event branding as well as make it fridge worthy. A simple pink background with the Snowflake ball logo made for the perfect take home for each guest. Introducing MDRN's New Propmaster, Amber Warren! MDRN Photobooth Company is so excited to introduce you all to our new prop master, Amber Warren! Amber is a full-time designer and art director at one of Ottawa's longest standing marketing communications agencies, Banfield Agency. She's also the sensationally talented owner of PropMaster, an online business that sells unique, handmade photobooth props. As a "Prop master," Amber uses her creative magic to make and find photobooth props that fit the need of any event - any time, any place. Amber is an incredible addition to our team. You may also catch her at your next event, hosting the MDRN photobooth and sharing her genius props with you and your guests! Amber considers herself an enthusiastic Pinterest-addict and an expert in all things fun and pretty. Welcome to the team, Amber! MDRN had the chance to set up our very first Christmas photobooth ever for a recent Ladies Who Lunch event. The event's aim is always to promote women in local business and to give them a chance to show off their products and services. Each event focuses on raising money for a charity in order to give back to the community. For the most recent event, titled "The Gift," Ladies Who Lunch were raising money for a young boy named Jonathan who lives with a very rare disease. By the end, $2500 worth of donations had been raised. Oh, and Jonathan's dog walked away with a basket full of goodies from Global Pet Foods! For this event, MDRN Photobooth Company designed custom images, for each guest's photos to be printed on, complete with snowflakes and a festive script that said "The Gift." It really made our Ottawa photobooth POP with excitement! One of the funnest props that we had available was a giant heart, requested by Catherine Landry, of Call Betty, to show Jonathan how much everyone supports him. MDRN Photobooth Company had such a fun time being part of such a special event! MDRN Photobooth Company had the good fortune of being able to participate in the "Do the Blue" fundraiser! The event is held in conjunction with the Ottawa Hospital Foundation and is meant to raise awareness for women's health. Guests who attended the event proudly sported the colour blue on the clothes, their nails, their hair, and their faces. It was a sea of blue, all for a great cause! Everyone was asked to take a selfie and post it to Twitter and Facebook with #selfiecare to spread awareness for the cause. It was all about promoting proactive care for women who might not take the time they deserve to make sure their health is where it should be. During our time at the event, MDRN put out a donation jar, asking anyone who wanted to take part in our wonderfully blue Ottawa photobooth, to please make a donation towards the event's goals. We raised $126! Catherine Landry, of Call Betty, completely transformed the atrium at the Ottawa Hospital Cancer Ward to host the event. What Catherine was able to do was beyond incredible and I'm almost certain that she has real-life magical powers. The template that our Lead Stylist, Catalina Bloch, designed for this event is completely unique to anything we've done before. We made sure that there was plenty of room for the big, bold, blue words - "Do the Blue #Selfiecare" to go along with everyone's big, bold, blue enthusiasm! Catalina designed the photobooth template to look like a glamorous Vogue magazine cover! Oh, and did we mention that MDRN was on TV? That's right! Our co-founders, Catalina and Darren, can be seen helping guests with their MDRN photobooth experience in this clip from CTV Ottawa! The Very MDRN Christmas 25 Day Giveaway! Win 1 of 24 Starbucks Gift Cards! Christmas is just around the corner! It's a time for hot chocolate, toasty fires, family gatherings, decorations, and gifts! We here at MDRN are so incredibly thankful to each and everyone of you for making our first year in business such a memorable one that we wanted to thank you in the funnest way possible. Introducing The Very MDRN Christmas 25 Day Giveaway! Our fancy glitter calendar is where we'll announce the daily winners, in addition to Facebook and Twitter. The name of each day's winner will be displayed in one of the boxes below. This will all culminate in the reveal of the secret grand prize which one person will win! A few guidelines: 1) You must have Twitter to enter this contest. We're using Starbucks' "Tweet a Coffee" service which means you have to have an account in order to receive the eGift. 2) Contest is only open to residents of the US and Canada who are over 18 years old. 3) You can enter as often as you like. But, the sooner you enter, the better your chances of winning something will be. 4) If you don't win an eGift one day, have no fear, because your previous entries won't go anywhere! 5) If you win a coffee, you're still eligible to win the secret grand prize and all of your entries, minus the one may have already won with, will count towards the final draw! 6) If you have questions, comments, or concerns about the giveaway, please contact Jordan at jrdnATmdrnphotoboothcompanyDOTcom! 7) The first prize will be given away on December 1, 2014, but you can begin entering ASAP! 8) The winner will be announced on social media and on this post. You will have 48 hours to contact Catalina at helloATmdrnphotoboothcompanyDOTcom to claim your prize. Please include the date for which you won as well as your valid Twitter handle and your full name. No person, let alone a child, should ever have to live with cancer. Gabriella's Groupies is an organization that raises money for children's cancers - an area that only receives about 2% of funding. Their annual Journey 24K event this year would "benefit Candlelighters Childhood Cancer Support Programs and Children’s Hospital of Eastern Ontario Research Institute." They had a goal of raise $35,000 but instead ended up raising over $44,000! It's an incredible accomplishment of which everyone involved should feel very proud. Organized by Lidia Marrello-Curcio, founder of Gabriella's Groupies, and Elise Schmitz of Toast Special Events, the event took on a "bling and gold" theme which MDRN Photobooth Company was lucky enough to get to be a part of. To help make the event as special as possible, we created a bunch of customs props that, while unique on their own, were tied together by their bright gold accents. Two of the most festive props that we created were the gold sombrero, with a pink rim design, and the matching gold sunglasses. Of course, what would an event of this caliber be without some "champagne"? We created a champagne bottle prop, accompanied by two long-stem champagne glasses, so that guests were able to toast each other in the MDRN photobooth. "Wakey wakey, photobooth lovers, MDRN Photobooth Company here - your one and only source into the scandalous lives of MDRN's elite props. Love was in the air with cupid's arrow and a throwback to our Lead Stylist Catalina's current Gossip Girl obsession with the "XOXO" prop with black trim. I haven't seen this much gold since Serena married Lonely Boy." - XOXO, MDRN. You can't have a bling party without throwing some dollar signs around, right? Right! That's why we put created this flashy gold dollar sign prop so that guests could feel like a million bucks! Dollah, dollah bills, y'all! Oh, and let's not forget that when people walk into a photobooth, they usually have something that they want to say to the camera! We created these fun word bubble props so that guests could be as vocal as they wanted to be. "Buy Me Pretty Things," "Give More," and "I'm So Fancy" were just a few of the sayings that we gave guests the option to choose from. As the the party drew closer to midnight, you would think that most guests would be tired and ready to head home, kick off their heels, and binge watch The Mindy Project on Netflix, right? Wrong! Guests were in love with the photobooth and the exciting and unique atmosphere that it brought to an already incredible event. There were no TV shows to watch, but who needs Orange Is the New Black when you have us? 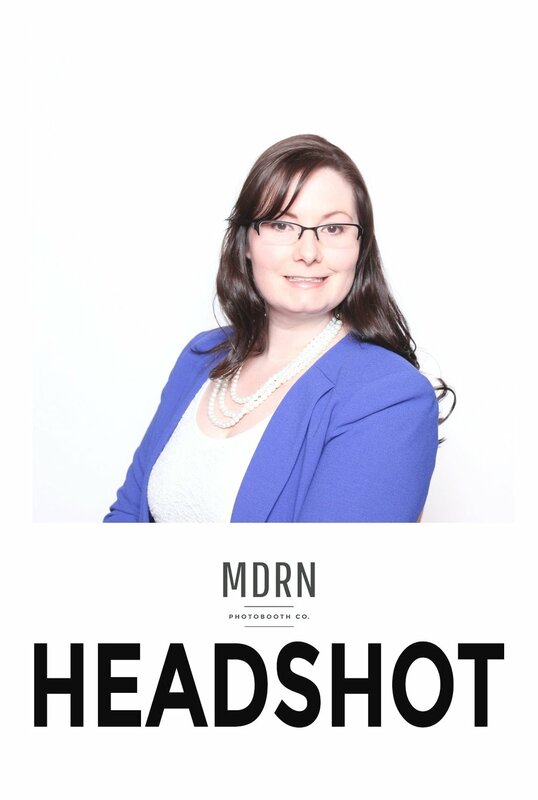 With MDRN, it's "Photobooth Is the New Black." Instead of a prison cell, you get a fancy backdrop and instead of Meatloaf Mondays, you get MDRN Mondays (or any day that ends in a 'Y'). Thank you to Elise of Toast Special Events for leaving such a wonderful Facebook review. The Christmas season is coming, faster than you can sing a poorly pitched rendition of "Rudolph the Red-Nosed Reindeer" or thank your mom for yet another "Ugly Christmas Sweater." To celebrate this special time of year and to make things extra special for our MDRN customers, we're offering you a very special deal. We call it our "Very MDRN Christmas Package!" If you book our services for your Christmas party (or non-denominational holiday party) that is taking place between now and December 23), you'll receive everything in our Essentials Package, including 2 hours of photo booth time! But, instead of Standard Props, you and your guests will get to play around with fun Christmas themed props instead. You'll also get to choose between our white, silver, green, and blue backdrops. Let Us Bring The "Ho, Ho, Ho!" A Very MDRN Christmas Package! Just For You! A MDRN Canadiana Photobooth, Eh! At MDRN Photobooth Company, we always love a chance to shake things up and try something new. When Chic & Swell came to us on behalf of their client, the Ontario Home Builders' Association, and requested a Canadian themed photobooth to match their event, we of course jumped at the chance to take part. Canada has some very notable and very iconic symbols, like hockey, the simple colour combination of red and white that adorns our national flag, and the beaver. We combined all of these elements and more to bring together the perfect Canadiana photobooth. Lead Stylist Catalina came up with the great idea to incorporate some very Canadian props, including a hockey stick and antlers (both painted white), a pair of snow shoes, and an ore with an added gold stripe. So that guests could be as expressive as they wanted while posing for the camera, we got to work making these bold word bubbles that contained some very Canadian words or sayings, like "Poutine! ", "Every Night Is Hockey Night In Canada! ", and "Our Home And Native Land!" Canada would be nothing if not for the great cities that make it up, which is why Catalina made sure to include fun mini flags with the names of some of Canada's most popular locations, like Halifax, Ottawa, Toronto, and Vancouver. The bold script font that was used brings the design of the flags to a whole other level. And of course, what Canadiana photobooth would be complete without some adorable animal props? Some of Canada's most recognizable symbols are the beaver and the moose, which meant that they were two animals that we absolutely needed to make sure were included. Add in a bottle of maple syrup, and now you have a party! Remember back in the day when you would take your roll of film to get developed and you would be dying with anticipation to know what exactly was on it? You would get a package of photos, go through them a few times and then of course they would usually end up in a box somewhere in your parents basement only to be found decades from now when you are forced to finally clean it out. How good does it feel to be able to hold a picture in your hand? It's easy to forget that they are there. Even better, what about those old photo albums of your family trips or stupid random high school pictures? The album of course usually made it to a coffee table or book self in the house so that every now and again you could pull them out to show people. One of our recent couples decided to make their photobooth pictures last forever by getting our photo album option. We just love how the album turned out and hope that they will enjoy the album for years to come. The only way I think we can really enjoy this booth in via animated .GIF so here you are! After about a minute of trying to type out some blog marketing gold, I give up. Now I start googling random stuff because maybe, just maybe, it will make my brain work. Ugh..... So here I am, staring at a picture of James Franco and all I can think about is how horrible the lighting is in this picture! Lighting is such an important part of photography! I feel like all these stars that apparently don’t age (which is just slightly creeping me out/making me incredibly jealous...#jealous) should all step into our booth and get some quality pictures taken of them! I mean it’s not rocket science but it sure makes a difference! psssstt..This is the part where I tell you why our lighting is just so awesome, tee hee. No, but seriously, we’re talking like double rainbow awesome. We use professional studio lighting that is perfectly bounced, balanced and angled to make you look awesome! Just check out some of these shots. Funny face and all... still looks good. This lovely lady below even came to our Facebook page to tell us how great she looked in her picture. Have you been in our booth and have an uncontrollable urge to tell the world or maybe even just a few friends. Then feel free to share the love on our Facebook reviews page. Hope to see you in the booth soon. PS. You want to see the stars that don’t age, don’t you? DON’T.YOU. I wouldn’t leave you without sharing the link! Sharing is caring! Here you go. Which one do you find the creepiest? Leave your comments below.